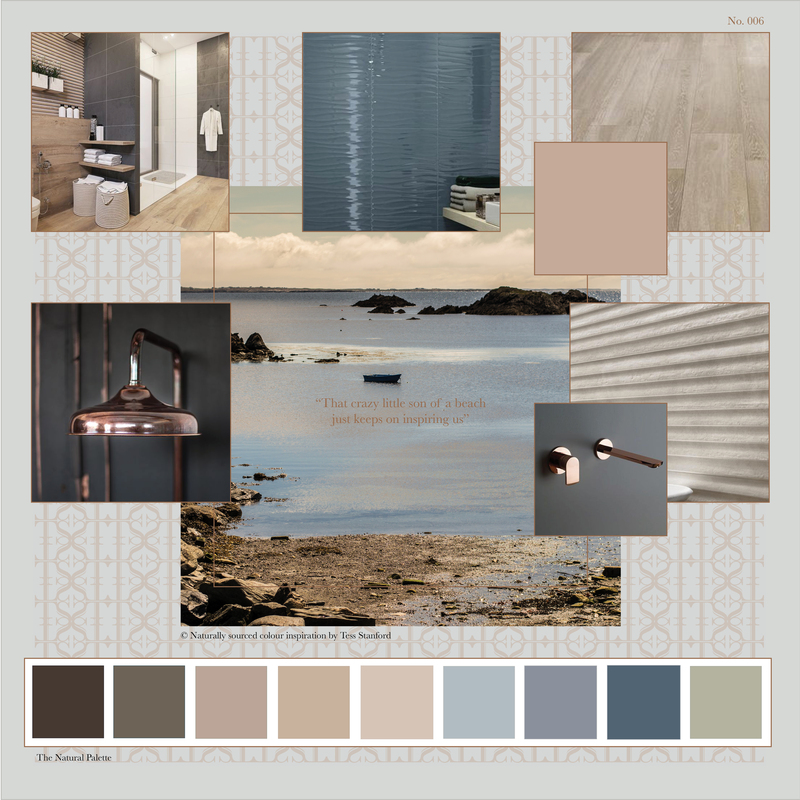 Being by the sea has such a calming effect on so many people and I believe the colour palettes in these natural settings will have the same effect in your interior design palette. I got so excited when I saw the tones captured by our photographer Martin Kiely of this beach on Inishbofin Island. Inishbofin is located off the west coast of Ireland and is one of the most tranquil places I have ever visited. This shot is such a beautiful example of blue complimented in a really warm palette. Blue can be a cold colour if not used correctly but the richness of the blues on the horizon picked from this shot are warmed by ashy brown and grey tones from the beach and rocks. If you are keen to introduce blue into your Interior design palette and want to avoid the coolness associated with blue then it’s important to choose your complimenting palette appropriately. 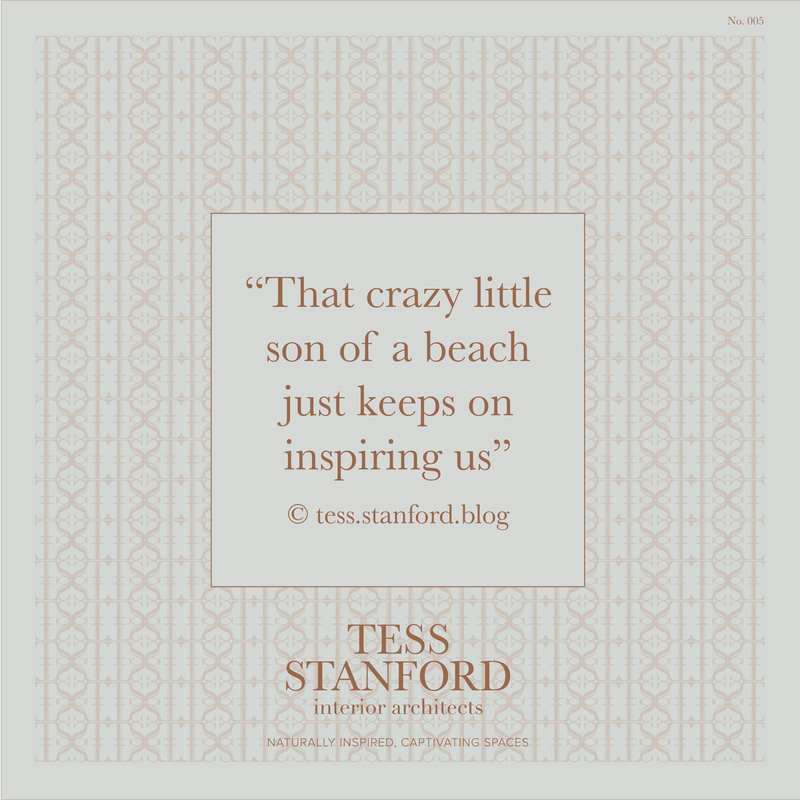 The gorgeous sandy pinks in the sand have allowed us to introduce rose gold & copper metal accessories and add a little wow that we all love. 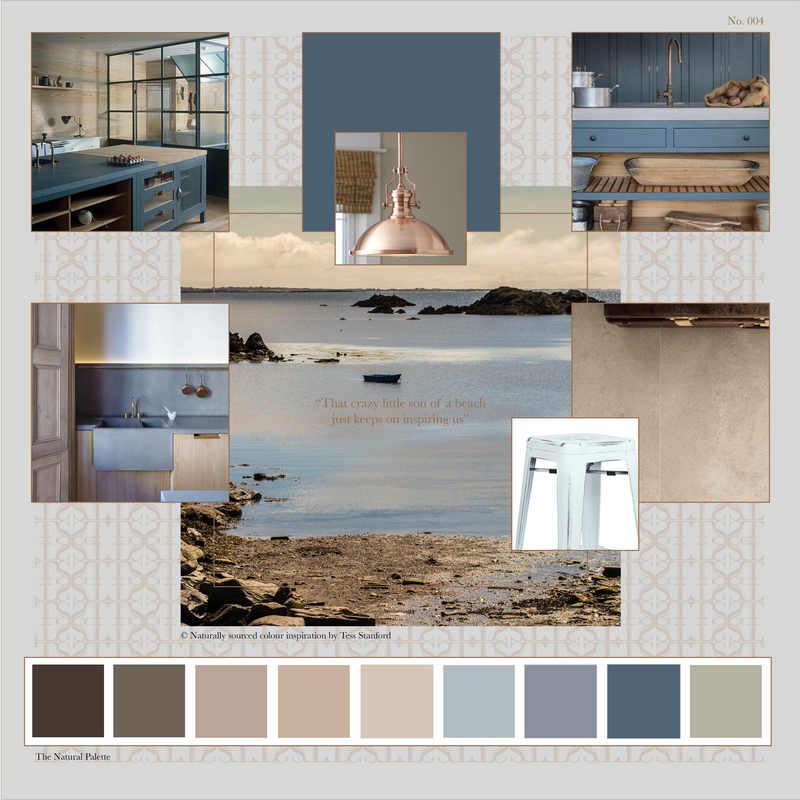 The teaming of the tones in this palette is a wonderful way of keeping your interior warm and rich whilst allowing you to introduce your blue as a major feature. Interior design of your home is meant to be fun and an expression of yourself. If this palette resonates with you then you’ve got a wonderful starting point. Bathroom image @ pinterest. Wall tile: Ragno, Energy Indaco Struttura Marea 3D. Paint colour: Farrow & Ball Dead Salmon No.28. Floor Tile: Ragno Woodgrace collection. 3D wall tile: Ragno, Terracruda Collection: Concrete Look. Copper wall mounted wash hand basin mixer. Thermo Exposed Shower in Aged Copper Finish by Catchpole & Rye Bathrooms.